Yes, you’re right. Cheaters are cheaters and don’t deserve all time records. They shouldn’t have the accolades they do, but great hitters, are just great hitters. Alex Rodriguez, perhaps the greatest all around ball player to ever play just hit his 648 home run of his career. This puts him alone at 5th in home runs all time. He may have (probably) had steroids to assist with his stats, but the simple truth is that a great hitter, steroids or not, has to be a great hitter to get records. Barry Bonds won’t make it into Cooperstown due to the ominous cloud that surrounds his career. Forget the fact that he was one of the greatest athletes and is still one of the greatest players to ever play the game. Breaking the home run record in a season isn’t due simply to performance enhancers, he still had to recognize the pitch, swing with contact and timing. He probably received help with the power part, but Barry Bonds is one of the greatest hitters to ever play in Major League Baseball. So is Alex Rogriguez. 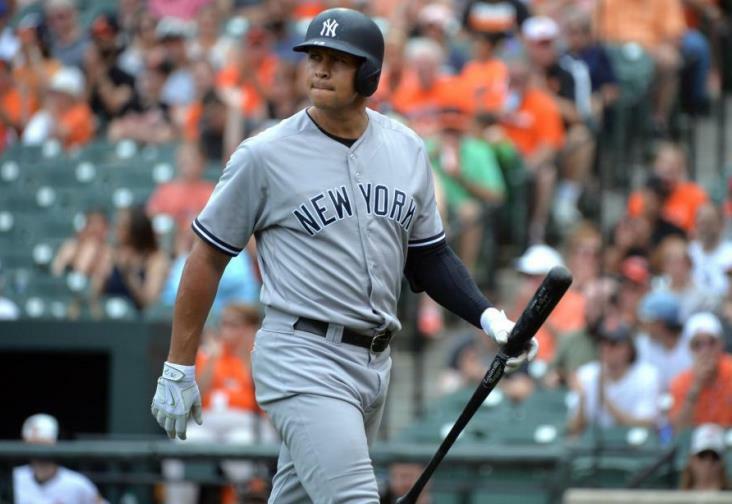 He’s been picked apart for character issues, but the long and short of it is that A-Rod is a ballplayer. He got ridiculed for playing too hard in one game where he yelled behind a defender. He is a ballplayer! If you don’t believe me, ask Justin Verlander. He’s only been the best pitcher in the game over the last 3 years, and he’s the one that surrendered A-Rod’s 648th home run. He’s a tremendous pitcher, that was just pitching to a better hitter. Steroids aside, A-Rod might not be 5th all time in home runs, but you can’t throw your hat in the ring without being a tremendous hitter. A-Rod and Barry Bonds might not deserve the gold, due to cheating, but they definitely had the talent and performed well enough to be on the podium.